Will Carmelo Anthony actually play another game in the NBA this season? After some people in media hinted at him never playing in the league again, it seems like things are moving for him to lace up and put on a jersey somewhere soon. 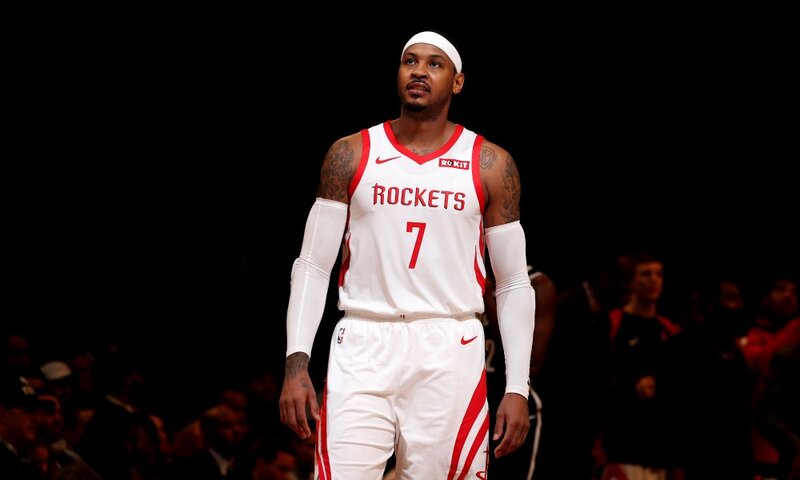 After parting ways with the Houston Rockets, Carmelo Anthony (and cash) will now be traded to the Chicago Bulls, who will waive him shortly after. He is not planning on playing a game with Chicago at all. What this means for Anthony is that he will become a free agent and could sign with any team following him clearing waivers. Carmelo Anthony will not play a game for the Bulls, but it is possible that franchise holds off on waiving him until the trade deadline, league sources tell ESPN. Bulls could include him in a one-for-one trade, but can't aggregate his contract in another deal. With the move, the Rockets will save $2.6 million towards their luxury tax bill this season. Additionally, the Atlanta Hawks will receive a set-off of additional salary that he signs for once he is waived by the Bulls. As of now, they owe ‘Melo $25.5 million as part of his buyout. The cash received from Houston will pay for (and then some) the Anthony salary. The Rockets had up to $2.1M to send in a trade. At the end of the day, Anthony has fleeced the Thunder, Hawks, Rockets and the Bulls in the past few years and has hardly played games on the court. Per Adrian Wojnarowski, the Los Angeles Lakers are interested in Carmelo but they do not want to waive a roster spot to bring him in. They would rather wait until a roster spot becomes available before they try to bring him in.